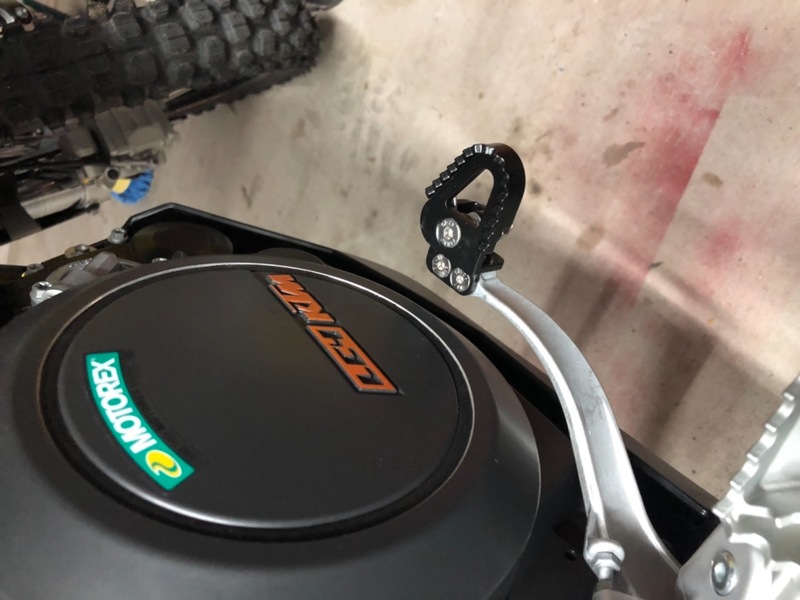 Any off-road rider knows the importance of having a folding brake lever. 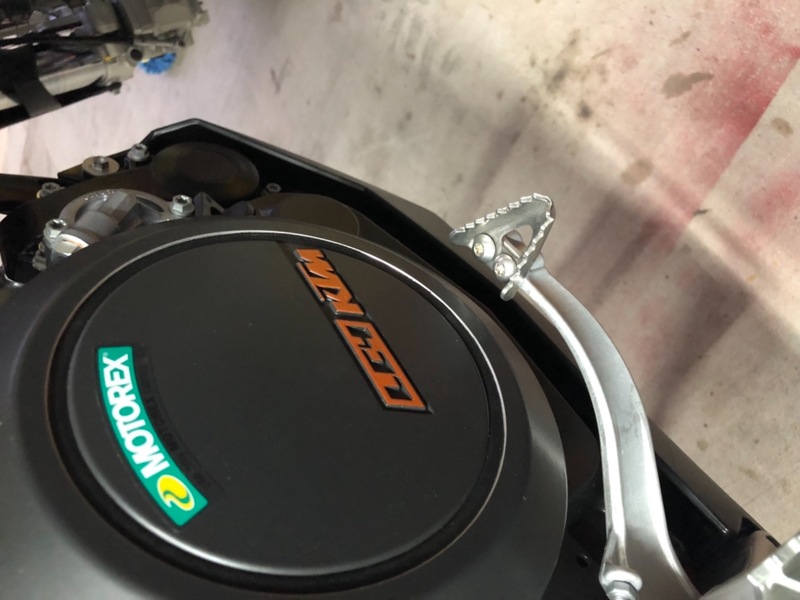 When riding tough trails, the tip of the stock KTM brake lever on your 1190 or 690 can get caught on rocks, stumps, or branches, bending and ultimately breaking your rear brake lever. This folding tip kit from Touratech is a quick and easy way to protect your brake lever from uneccessary damage during your off-road trips. The quality of this brake tip is great, but the stock screws are round head and the brake tip will not fold over the screws. Flat, tapered screws should be included.